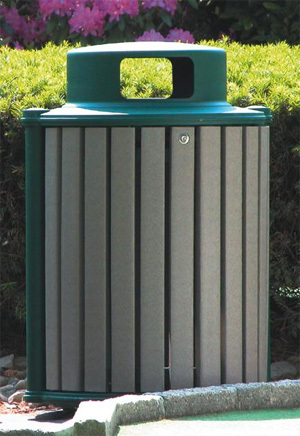 This attractive Victoria Trash Receptacle comes with choice of domed or flat cover. It has a 32-gallon capacity. Requires 32 gallon plastic liner, sold separately.